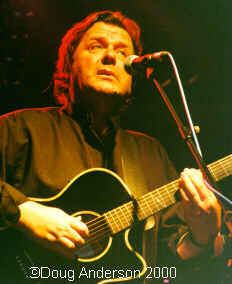 Welcome to my John WETTON webpages. John Wetton began recording with Mogul Thrash, moving through, Family, King Crimson, Roxy Music, Uriah Heep, UK and onto worldwide stardom in Asia. He has since begun a solo career and that's where these gig reviews are from. I've only seen John perform a handful of times on his recent solo tours, though several times as part of QANGO. He was joined in QANGO by Carl Palmer, Dave Kilminster and John Young. To read reviews of the QANGO shows, click here. There are also plenty of pictures within the reviews. As well as working on a studio QANGO CD John is progressing with his third solo CD. Caroline Mockett also has a set of pages devoted to John, also including photo's she's taken at shows (Solo and QANGO). Click on the venue for the reviews.